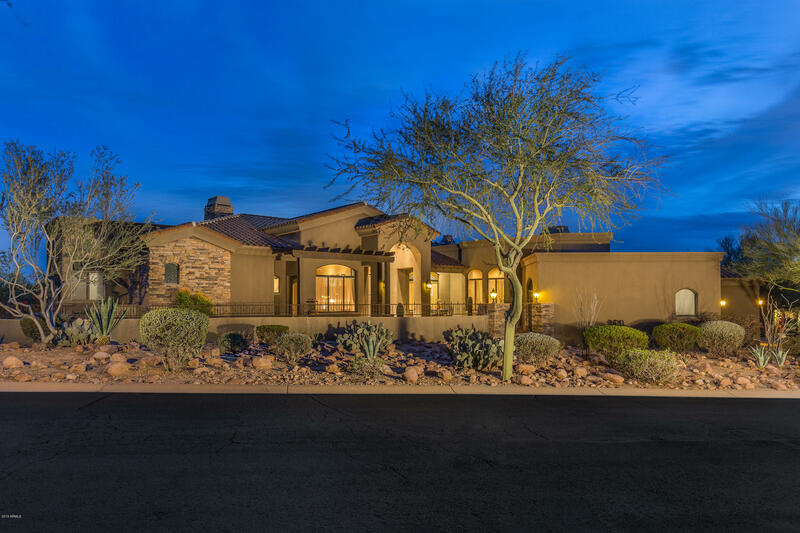 Amazing custom home in SUPERSTITION MOUNTAIN ON THE 5TH HOLE OF PROSPECTOR GOLF COURSE LIGHT AND BRIGHT! Four bedroom, all with their own bathrooms, plus an office that could be a 5th bedroom. Great OPEN great room (14 ft ceilings), kitchen layout. Wet bar in great room. Large breakfast bar. Walk in pantry. Huge master suite with walk-in closet, two person jacuzzi tub, and walk-in shower. Venetian plaster and Hunter Douglas blinds throughout the home. Huge outdoor patio with a fireplace, kitchen, built-in BBQ, fire pit, pool and booth bath with steam shower and plenty of room for a sitting and dining area. Back faces east so no hot sun in the afternoon. Roof provides western sun for amazing sunsets and fabulous mountain and city light views. Three car garage with lots of built-in storage. Friendly community wit lots of activities.YOU WILL LOVE IT HERE! Twenty minutes to Mesa Gateway and 35 minutes to Phoenix Sky Harbor Airports. Golf membership and Club amenities under separate agreement. All pertinent information, including square footage to be verified by the buyer.